Benjamin Breckinridge Warfield has been described as one of the most influential and important theologians in American history, second only to Jonathan Edwards. A prolific writer, he published on a wide variety of theological topics. Warfield scholar Fred Zaspel focuses here on Warfield’s writing on the subject of the Christian life. The gospel, the good news of our salvation through Jesus Christ, is central to all of life for Warfield. 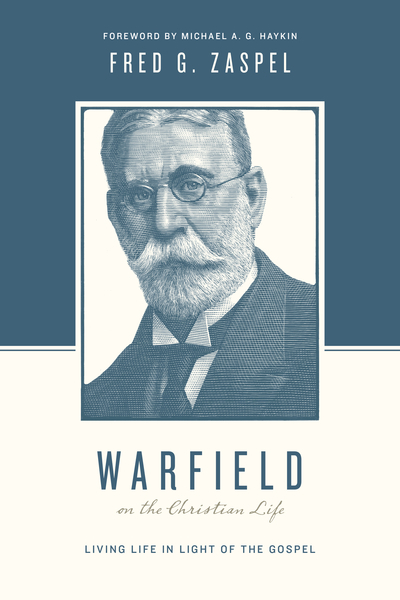 Zaspel touches on such topics as Bible reading, prayer, holiness, and work, at every point showing how Warfield brings biblical and theological insight to the question of how we are to live in light of the gospel. Part of the Theologians on the Christian Life series, edited by Stephen Nichols and Justin Taylor, this volume will help Christians think through what it means to live a God-honoring life before the cross of Christ.